Thailand Hotels - Reservations Online Discount Hotels in Thailand! 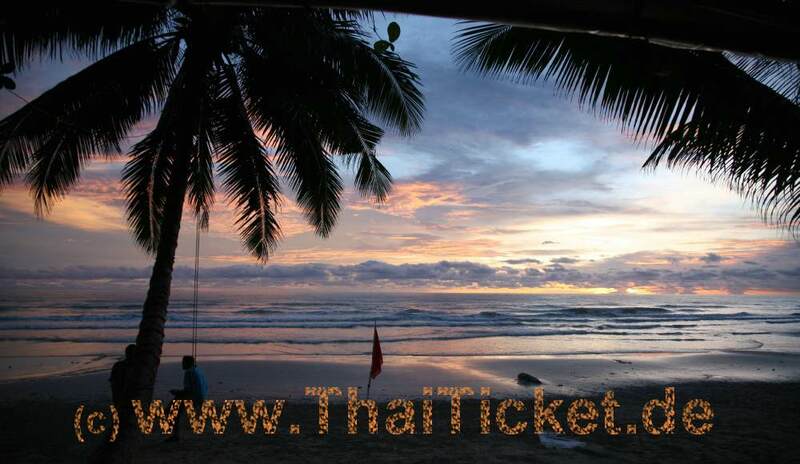 Welcome - ThaiTicket.de offer Thailand hotels and resorts guide, discount online hotels with secure reservation in best cities such as Bangkok, Hua Hin, Pattaya, Phuket, Krabi, Koh Lanta, Koh Samui, Koh Phangan, Koh Tao, Chiang Mai, Mae Hong Son, Pai and Isaan. Find out all you need to know about room rates, hotel facilities, hotel photos, travel guides and maps. (1) Bangkok South Bus Terminal (2) Bangkok North/Northeast Bus Terminal "Mochit" (3) Bangkok East Bus Terminal "Ekamai"
The Kirimaya Golf Resort & Spa 5-star resort with unique tented villas for guest accommodations offers high class standards making Kirimaya a truly spectacular Thailand golf resort. Your stay at Kirimaya combines the natural charms of Khao Yai with the lifestyle of contemporary living. Rooms, suites and unique tented villas are luxuriously spacious with idyllic views of unsurpassed greens and hills. The 5-Star hotel Anantara Lawana Resort & Spa is a contemporary Sino-Thai style resort. Located at North of Chaweng Beach, Koh Samui, Thailand. Set amongst a beautiful and luxurious tropical beach, 6 kilometers from Samui International Airport. Whether in one of the resort's luxuriously appointed rooms or spacious pool villas, take in the fresh breeze off the bay and feel yourself relax. Thailand & Bangkok Special info only for singles!!! dies Ko Tao. For travel tours to Northern Thailand we offer hundreds of the best accommodation in the popular holiday regions Chiang Mai, Chiang Rai, Mae Hong Son and hotel deals in the North Eastern province of Isan. Book here cheap hotels here in Nong-Khai, Khon Kaen, Surin and in Korat Pimai Nationalpark. Find out all you need to know about current room rates, hotel facilities, travel maps and guides. Make conveniently online your thailand hotel reservations now!